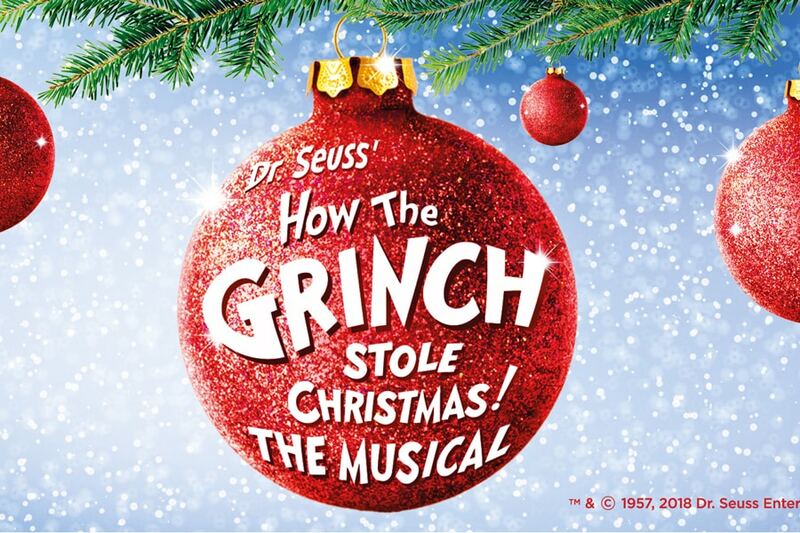 Book now for Dr Seuss’ How The Grinch Stole Christmas UK Tour. This new musical opens in Wimbledon in Novemebr 2019. Dr. Seuss’ How The Grinch Stole Christmas! The Musical – the record-setting New York Christmas sensation – is to play a UK Tour in 2019, ahead of a Christmas season at The Lowry. Featuring the hit songs “You’re A Mean One Mr. Grinch” and “Welcome Christmas”, Max the Dog narrates the show, as the mean and scheming Grinch, whose heart is ‘two sizes too small’, decides to steal Christmas away from the Holiday loving Whos. Dr. Seuss’ How The Grinch Stole Christmas! The Musical UK Tour will make its UK premiere at New Wimbledon Theatre on Friday 1 November 2019, play Glasgow, Cardiff, Edinburgh and Birmingham, before starting a 4-week Christmas season at The Lowry in Salford on Tuesday 10 December 2019. Mel Marvin and Timothy Mason’s music and book breathe new life into this timeless story. Magnificent sets designed by John Lee Beatty and costumes designed by Robert Morgan are inspired by Dr. Seuss’ original illustrations and help to transport audiences to the whimsical world of Whoville, and to conjure the true meaning of Christmas. This production is based on the show originally created by 3-time Tony Award winning director, Jack O’Brien and choreographer John DeLuca. The show broke box office records for two consecutive years on Broadway. Since then, more than 2 million people across America have been thrilled by this heart-warming musical. The announcement of the tour of the musical comes as a new movie of The Grinch – starring the voices of Benedict Cumberbatch and Angela Lansbury – is enchanting a whole new generation.